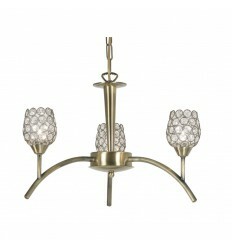 Koge Antique Brass Wall Light - Hegarty Lighting Ltd. The Koge single wall light has a warm antique brass frame with downward curved arm with a decorative crystal infill mesh upward shade. 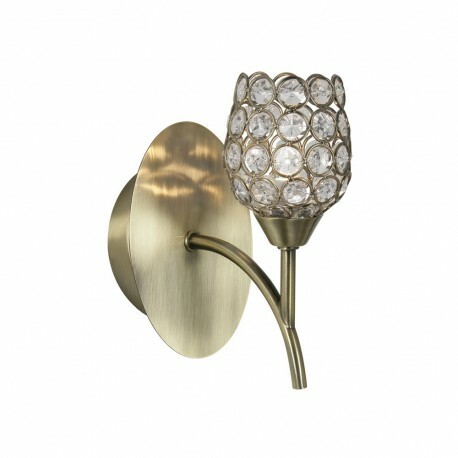 Unswitched wall light. 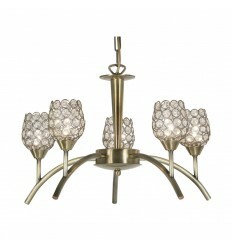 The antique brass Koge lighting range also includes a 3 and 5 light ceiling pendant.